Soundcraft, Studer and AKG combine under the same management team. Andy Trott, President of Harman's mixer business Soundcraft Studer, with facilities in the UK and Switzerland, has also been made responsible for AKG, headquartered in Vienna, Austria. Stefan Gubi, who has headed up AKG or the past five years, is departing at the end of June, returning to a senior post in the telecom industry from where he originated prior to joining AKG. Andy Trott, who has architected the 'digitalisation' of Soundcraft Studer's business since he joined in early 2003, is understandably excited at the prospect of leading AKG. Speaking from Vienna today, Trott said, "Having a background as a digital engineer and a recording musician I am absolutely thrilled at the prospect of leading another legendary name in the audio industry. AKG has always been a brand I have revered and having now met with many of the team in Austria I can see many synergies with the new product development programs we have been pursuing in Soundcraft Studer." 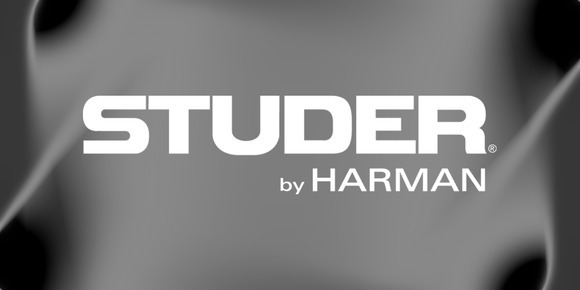 "Harman's strategy is to develop centres of excellence and by bringing our microphone and headphone business closer together with our mixer brands, we will be able to capitalise on engineering innovations currently under way in both camps--for example, we have several digital programs in place that can benefit from sharing one another's creativity." Regarding organisation there will be minimal change, according to Trott. "We will obviously look for efficiencies and make sensible changes, but AKG is running well, much to the credit of Stefan's [Gubi] work over the past four years. Nigel Beaumont, our VP of Operations, has been running our manufacturing operations across all three brands for almost a year now and the marketing teams, in line with all Harman Professional brands, work together on a daily basis so the businesses are comfortable working together." Accepting his new appointment in the same year as AKG received a coveted Technical GRAMMY Award, Trott was keen to point out that his strategy is to spearhead growth. "Like Studer, AKG has over 60 years of proud history valued by staff, distributors and customers alike, and this is something we want to protect as we pioneer new technologies--no other brands can offer such an integrated set of possibilities for future products as we can."